Pressure is mounting on Volkswagen after 11 million diesel cars sold worldwide were fitted with software that disguises pollution levels during testing. The German carmaker was ordered by US regulators to recall half a million diesel cars on Friday (September 18). The ‘defeat device’ allows cars to pass lab testing even though they actually emit 40 times the emissions standard. It affects 2009-14 Jettas, Beetles, Audi A3s and Golfs and 2014-15 Passats. The US Environmental Protection Agency said that the fine for each vehicle that did not comply with federal clean air rules would be up to £24,000. With 482,000 cars sold since 2008 involved in the allegations, it means the fines could reach £11.5 billion. The German government is investigating whether other companies are massaging their emissions data. The American regulator is widening its probe to other carmakers. A Volkswagen statement said in total 11 million diesel cars worldwide were affected. Other governments have announced they will also investigate, with South Korea saying it will test up to 5,000 Jetta and Golf cars, along with Audi A3s made in 2014 and 2015. The probe will be expanded to all German diesel cars if issues are found. Volkswagen chief executive Martin Winterkorn apologised and said he would support the German transport ministry’s investigation into the carmaker. He has launched an investigation into the software that allowed Volkswagen cars to emit less during tests than they would while driving normally. Volkswagen has also stopped selling the relevant diesel models in the US, where diesel cars account for about a quarter of its sales. Regulations affecting diesel cars in the US are much stricter in the US and they represent just 3% of the new car market. However, half of all new cars sold in the UK are diesel, with the company car market favouring the fuel. Transport secretary Patrick McLoughlin said: “We are closely monitoring the situation and have been pushing for action at a European level for more accurate tests that reflect driving on the road. BVRLA Chief Executive Gerry Keaney said: “We look forward to the results of the investigation, and will be monitoring the situation to see if similar activity also took place in the UK market. 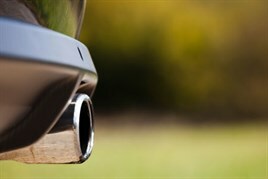 “In recent years, the UK’s tax regime has encouraged fleets to choose vehicles based on official emissions figures, and while our emissions test is a fundamentally different system to the US, these revelations reinforce the need for a more accurate testing regime.